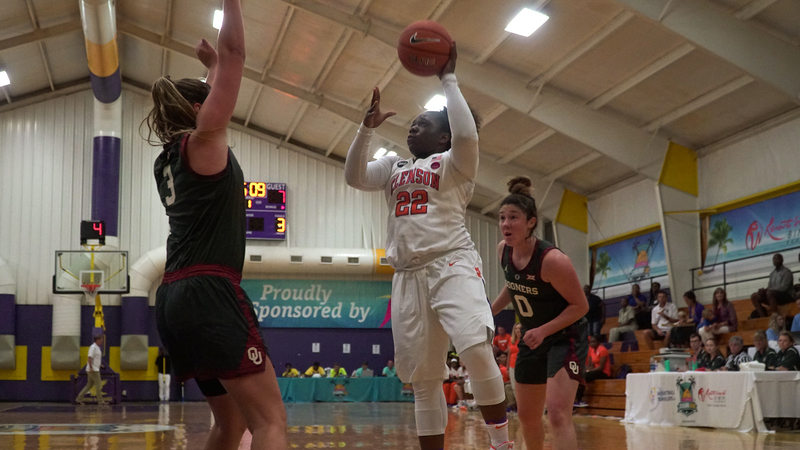 BIMINI, Bahamas – The Clemson Tigers (3-3) are leaving Bimini on a high note after defeating Oklahoma (2-3) 74-62 to finish in third place in the Junkanoo division of the Junkanoo Jam. 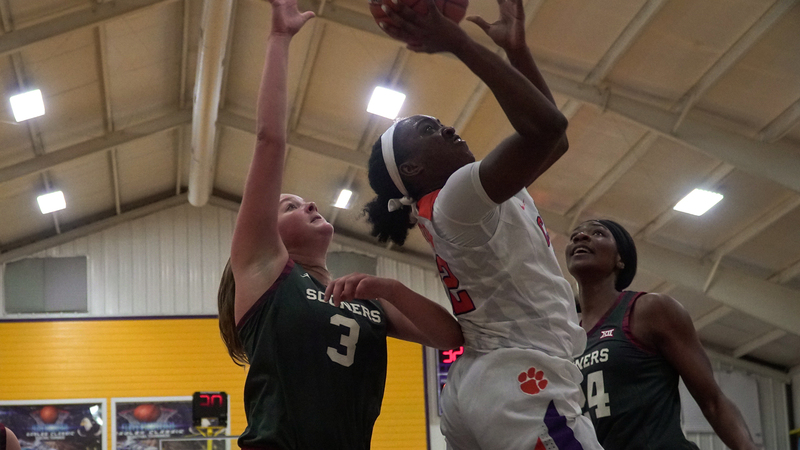 Friday’s win marked Clemson’s first victory over a Big 12 opponent since 1999 when the Tigers defeated 14th-ranked Iowa State, 81-72. 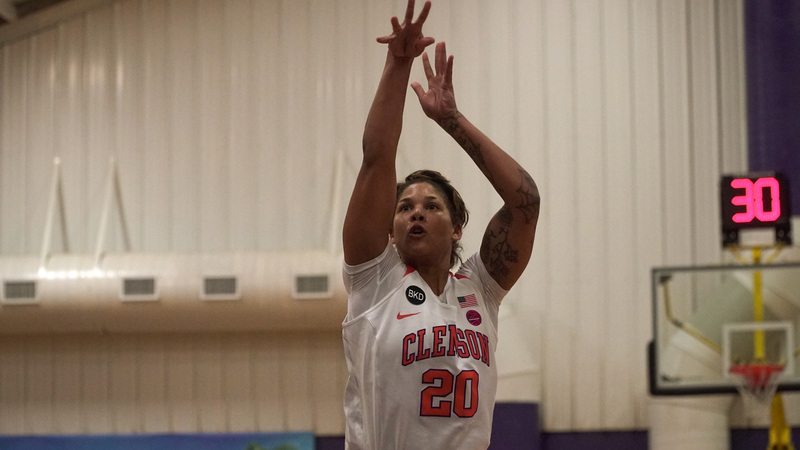 Senior Danielle Edwards led all scorers on the night, pouring in 24 points for Clemson on 9-of-17 shooting. Kobi Thornton and Simone Westbrook recorded double-digit games of their own, tallying 18 and 11 points, respectively. Thornton also hauled in a team-leading 10 rebounds for her second double-double of the season. The Tigers totaled 16 steals on defense and forced the Sooners into 27 turnovers throughout the game. Edwards set the tone early with back-to-back layups in the first minute of action to give Clemson an early 4-0 lead. Oklahoma battled back, and the teams traded the lead through the first frame, finishing the quarter tied at 17. 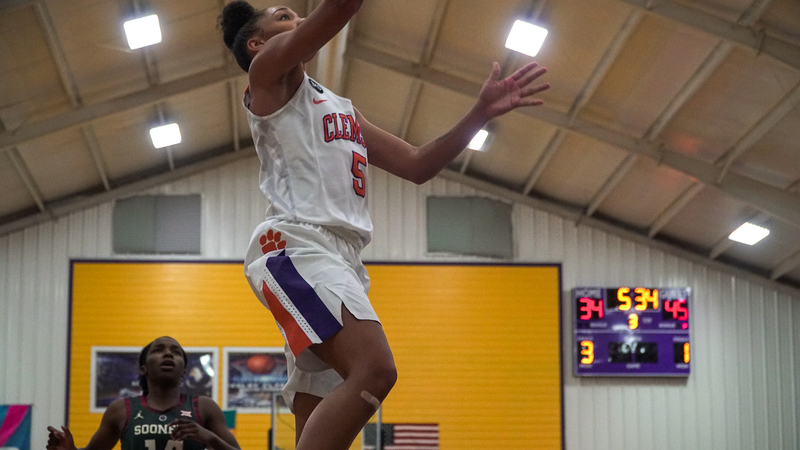 The Tigers came alive from the 3-point arc to start the second frame as Westbrook and sophomore Destiny Thomas knocked down back-to-back long balls. The Sooners rallied to tie the game at 27 with 4:34 remaining in the half, but it was all Tigers from there on out. Clemson finished the first half on a 16-0 run with five different players recording a basket. The Sooners opened scoring in the second half, but Thornton responded with a mid-range jumper to keep the lead at 15. Oklahoma crept back in the game in the third, outscoring the Tigers 20-10 to cut the lead to six heading into the final 10 minutes. 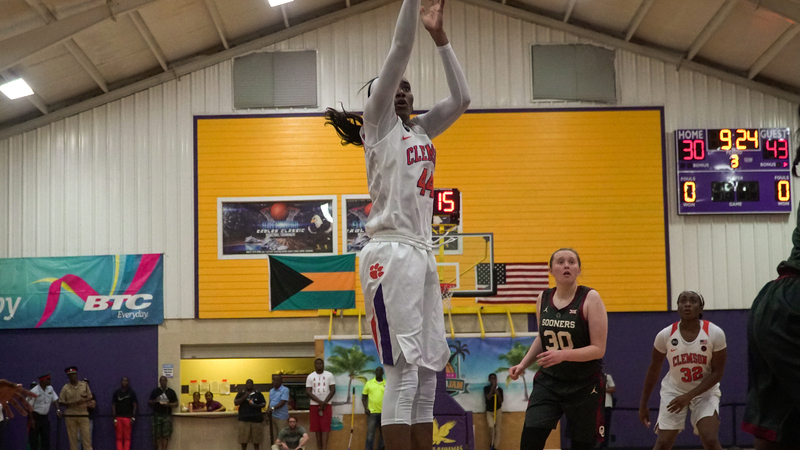 Clemson responded with a 21-point fourth quarter led by Thornton who shot 4-of-6 from the field in the final quarter. The lead never dipped below five points for the Tigers as they finished the game on a 7-2 run. The Tigers return to Littlejohn on Wednesday, November 30 to host Illinois for the ACC/Big 10 Challenge. 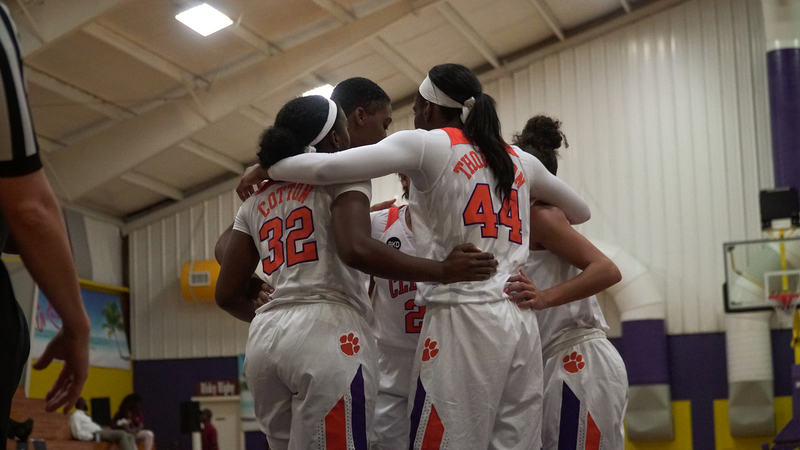 Tipoff is slated for 7 p.m. and the game will air on ACC Network Extra or can be heard on Clemson Tigers Network.